The ECT DIN-style signal isolators, converters, repeaters, boosters and splitters feature solid metal housings that stand up to the continuous, daily rigors of process control and factory automation applications. 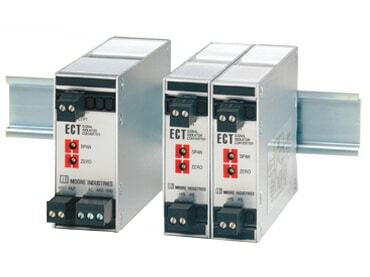 Rugged and reliable, the ECT is available in 2-wire (loop) and 4-wire (line/mains) powered models. The complete family delivers economical solutions for an expansive range of signal interface applications. 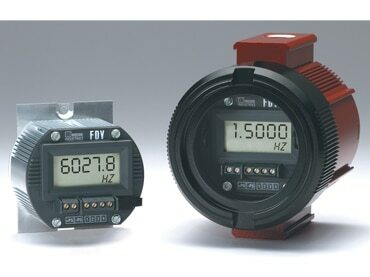 The FDY PC-Programmable Frequency-to-DC Transmitter with Display monitors frequency, period, high or low pulse width, and contact closure signals. It converts the input signal to a proportional, input-tooutput isolated 4-20mA output ready for direct interface with a readout instrument, recorder, PLC, DCS, SCADA system or other readout instrument. The 2-wire (loop-powered) FDY is ideal for use in a wide range of process and factory automation monitoring applications. 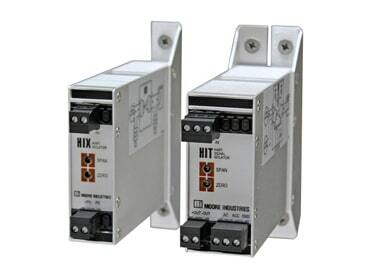 The HIX is a 2-wire isolator, drawing power from the output side of the loop. Typically, this is from a secondary receiving device such as a DCS or PLC. The HIT is a 4-wire unit powered by 24DC, 117AC or 230AC. It is designed for applications where line/mains power is readily available, such as the back of a panel or inside of a control room. All line/ mains powered units come standard with transmitter excitation that can power loop-powered transmitters connected to the input.